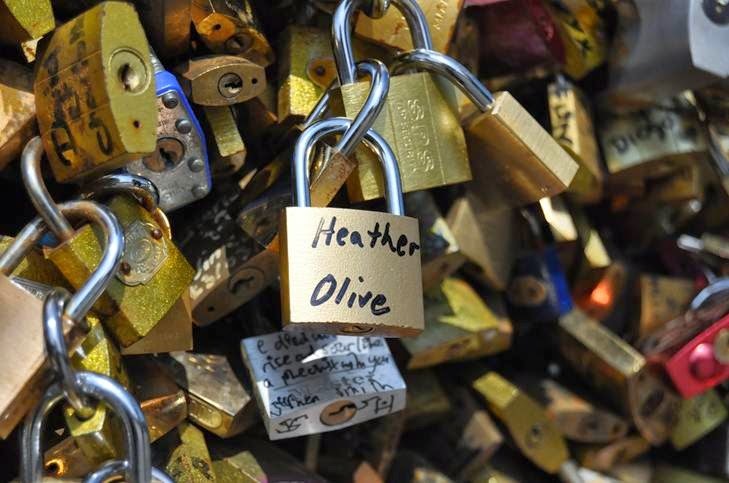 heather & olive: love lock. I'm extremely fortunate to have the most wonderful boss ever. She's supportive, understanding and pushes me to grow in ways I didn't know I could. And she gives the best presents. Yes, it's a love lock with my dog. But is there a truer love than the love you have for your pet? Methinks not. 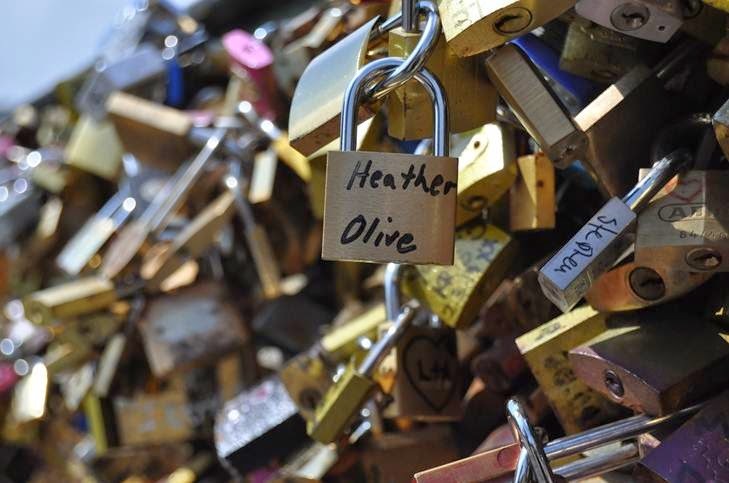 I found it so thoughtful and sweet (albeit a little unconventional) and it makes me happy that there's a little piece of me and my French Bulldog in Paris. They framed the photos for me and I have them hanging in my bedroom with the keys included. 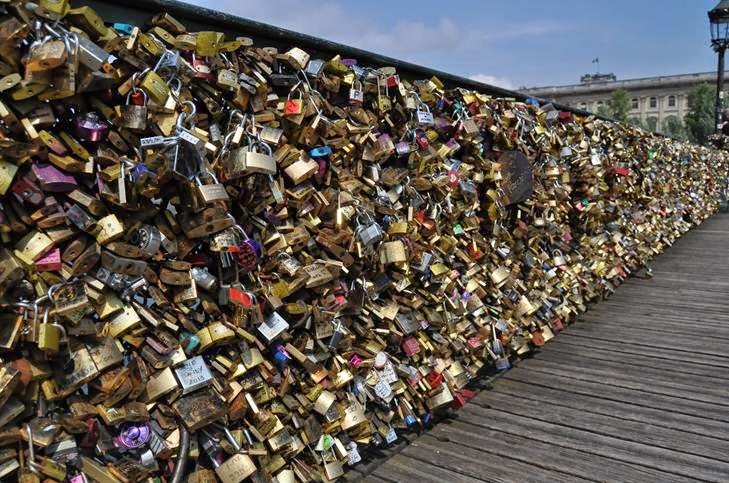 *Romance aside, I totally get why there is an anti-lock crusade--architecturally and aesthetically it doesn't really fly.